Combine smooth good looks with easy walking comfort in the Skechers GOwalk Lite - Glam. 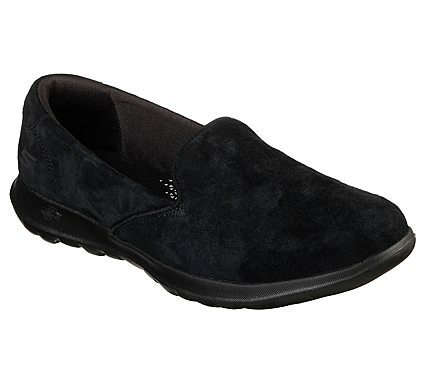 Soft smooth pigskin suede upper in a casual comfort slip on walking sneaker. Air Cooled Goga Mat® insole and 5Gen cushioning.